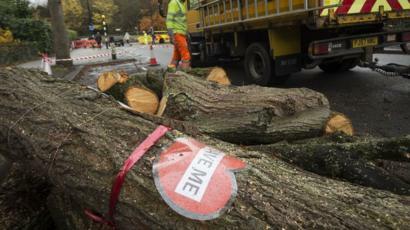 Musician Jarvis Cocker has described the felling of thousands of trees in his home city of Sheffield as “crazy”. The former Pulp frontman is joining singer-songwriter Richard Hawley to DJ at an event raising funds for the Sheffield Tree Action Group. The group is opposing Sheffield City Council’s plan to fell “dangerous” trees and replace them with new ones. “They’re trying to get rid of about half the trees on the streets, which is kind of crazy,” Cocker said. “You can’t really replace trees can you? I mean you’re replacing them with a little sapling that is going to take at least 40 years to reach maturity. “We’ve all seen that thing where the pavement is all buckling, but I don’t think that is happening in half the cases of the street trees in Sheffield. About 5,500 trees have been felled in Sheffield since 2012, with the city council saying the tree removal is part of its £2bn Streets Ahead project, aimed at improving roads and footpaths in the city. The council, which is planting new trees after removing existing ones, insists the trees earmarked for felling are either “dangerous, dead, diseased, dying, damaging or discriminatory”. 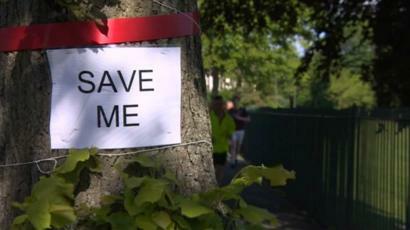 However, many of the trees classed by the council as “damaging” or “discriminatory” are healthy specimens which campaigners say should be saved. They say that alterations should be made to surrounding pavements and roads instead. The event “Get Off Our Tree!” is being held on Friday at Sheffield City Hall. Also playing are local artists The Everly Pregnant Brothers, lead singer of Reverend and the Makers, Nick McClure, and former Pulp drummer Nick Banks. Cocker – who released a song called The Trees with Pulp in 2001 – said: “People are up in arms about it. He refused to be drawn when questioned on the BBC Today programme about whether he would become directly involved in protests. He said he was taking part “to raise awareness and also to help people who are being punished for it” by raising money to help cover court costs of those prosecuted. The council said it supported peaceful protest but “unlawful behaviour displayed by some” protesters had been in “blatant breach of a High Court injunction and cannot be tolerated”.